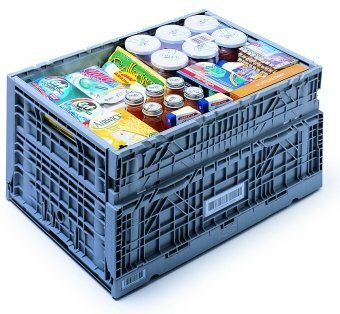 Folding (collapsible) solid plastic crate (basket, box). Strong, durable and saves space. The ideal foldable container for returnable packaging systems (RPC), groceries, food, meat, poultry, fish and all agricultural products. Suitable for temperatures between 0C and 50C. FDA compliant, recyclable, cost-effective, impervious to acids, fats, solvents and odors. Resistant to moisture, insects and fungi. Please inquiry on our web site and we will respond within 2 business days.